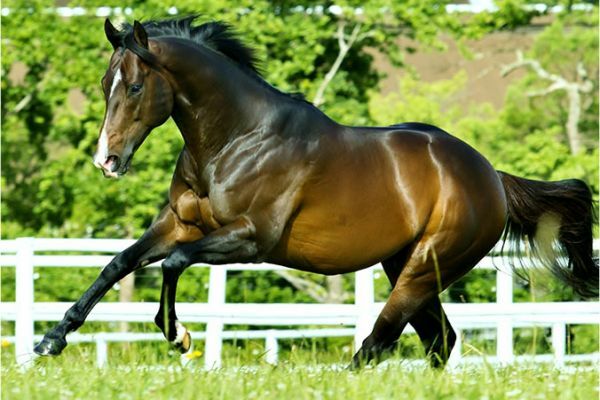 Drakenstein Stud’s leading young sire What A Winter, officially South Africa’s Leading First Crop Sire for 2016-2017, was back in the news at the Cape Breeders/Racing Awards evening on Wednesday. Not only was the triple Equus Champion honoured as the Cape Breeders’ Outstanding New Stallion Of The Year, but What A Winter’s brilliant, unbeaten daughter Magical Wonderland was named as Cape Racing’s Juvenile Filly of The Year. Magical Wonderland, bred by Maine Chance Farms, won all three of her outings last season, culminating in wins in both the Listed Perfect Promise Sprint and Listed Irridescence Stakes. What A Winter, whose G3 Cape Of Good Hope Nursery winning son Dutch Philip, was among the nominees for Juvenile Male Of The Year at Wednesday’s awards, got off to a sensational start last season, with his first crop runners lifting 15 races and earning in excess of R1.4 million in stakes. What A Winter’s notable first crop winners, Magical Wonderland and Dutch Philip aside, include G1 Premier’s Champion Stakes third Warrior’s Rest and Listed East Cape Nursery winner Fort Winter. The four time G1 winner, whose yearlings have made up to R2.8 million in the sales ring this year, has nine lots on offer at next week’s National Two Year Old Sale in Germiston.